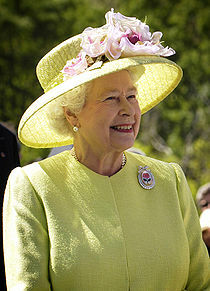 The English queen may wear a different kind of hat than a bishop’s miter, but it is the hat of respected and authorized leadership. An Englishman remarked to me recently that he thought the difficulty with female bishops in Britain was that British men didn’t want to be under the authority of women. Well, in England they have accepted the leadership of Elizabeth II—one of her many titles is “Defender of the Faith”—for more than fifty years. Gee, maybe if women who are bishops wore pretty hats, that would solve the problem? The longer this goes on, the more ridiculous and pathetic these Neanderthal men look. What is needed at the Church of England/Anglican Communion is manly/homely female vicars to become bishops and ease into the transition of tiresome expectations--it certainly worked well for effeminate/pretty men who aspired to wear fancy mitres...neanderthal resides in the eyes of the beholder. FWIW, England has been ruled by women for 190.5 years since the First Prayer Book of Edward VI in 1549. * Jane Grey's title is disputed. If one does not accept her claim, then her nine days would be added to Mary I. ** Mary II was coregnant with her husband, William III. Bishop is the only remaining job where the incompetent can be sure they do not have to fear competent women. Of course they do not want that to go away.